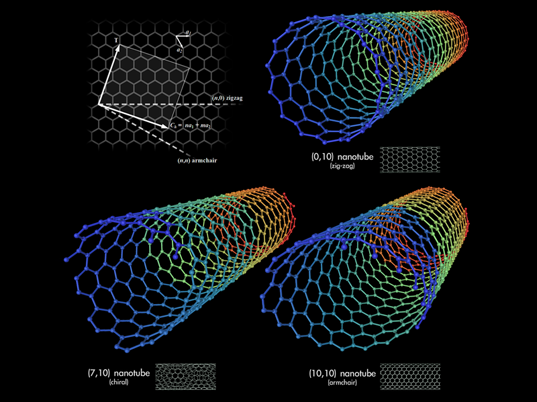 Scientists Create the World's Tiniest Valentine Out of Carbon Nanotubes! Scientists Create the World’s Tiniest Valentine Out of Carbon Nanotubes! 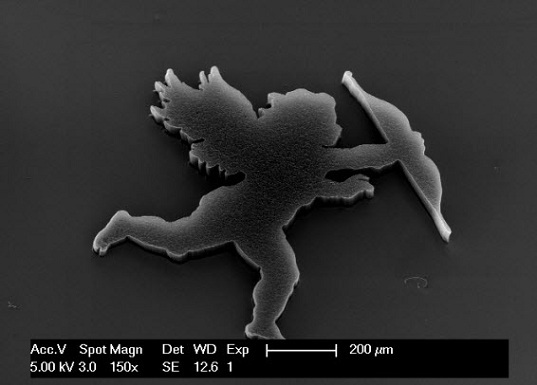 Scientists at Brigham Young University (BYU) have used nanotechnology to make the world’s smallest Cupid for Valentine’s Day! The teeny cupid is made from carbon nanotubes coated with metals and other materials. Just a few hundred nanometers from foot to bow, the tiny cupid is an a big breakthrough in Valentine’s Day technology. To make the cupid, the scientists first created the bow-wielding cherub shape with microscopic iron beads. They then blasted a plate of microscopic iron “seeds” with heated gas, triggering the microscopic beads to transform into carbon nanotubes only 20 atoms across. The resulting delicate structure reminds of the fragile new love. “It’s a really fragile structure at this point – blowing on it or touching it would destroy it,” said BYU physics professor Robert Davis. Along with BYU physicist Richard Vanfleet, Davis has developed methods to strengthen the nanotube structures with metals and other materials. The technology used for making the cupid can be applied in various areas. Nanofilters could be built with great precision — these filters have perfectly spaced holes about a tenth the circumference of a human hair- and used in compressed gas systems in mining, health care and scuba diving, Davis said. The concept was turned into a business plan by physics student Lawrence Barrett who was crowned Utah’s innovation Idol at 2013 Utah Innovation Awards. Scientists at Brigham Young University (BYU) have used nanotechnology to make the world’s smallest Cupid for Valentine’s Day! The teeny cupid is made from carbon nanotubes coated with metals and other materials. Just a few hundred nanometers from foot to bow, the tiny cupid is an a big breakthrough in Valentine's Day technology.